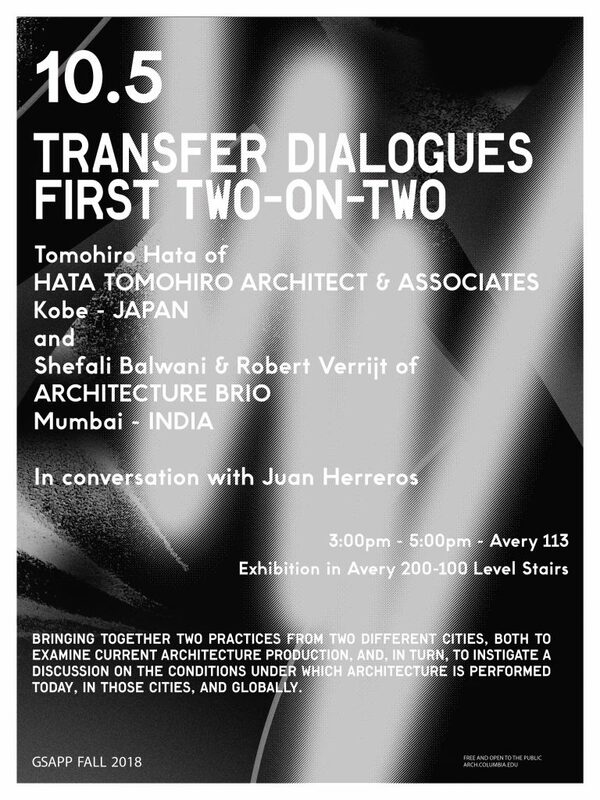 Alongside Tonohiro Hate from Tomohiro Hate and Associates, Kobe Japan, this lecture brings two different practices from different countries together. 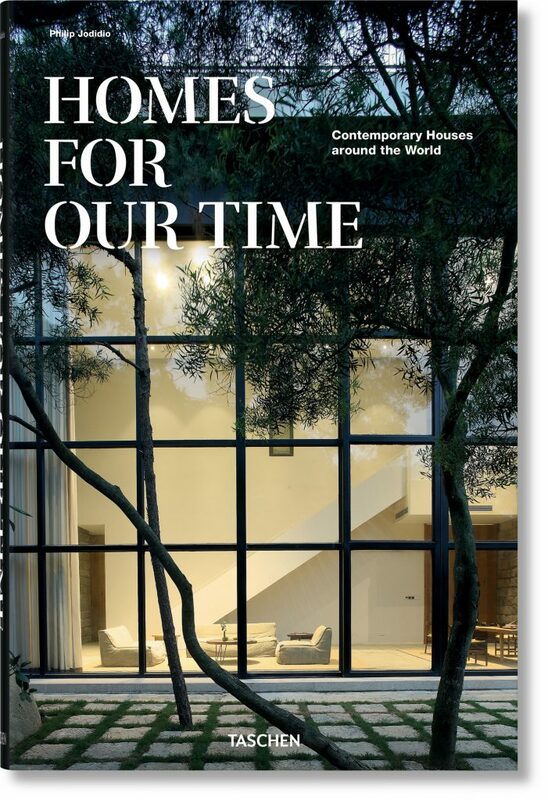 It explores and compares their way of producing architecture in today’s globalised context. Communicating ideas through drawings takes a central position in Architecture BRIO’s work. Sketching starts initially with procrastination. Taking up the pencil to start sketching is postponed as much as possible. Inspiration doesn’t come with a blank sheet. First, sketching has to happen in the mind. 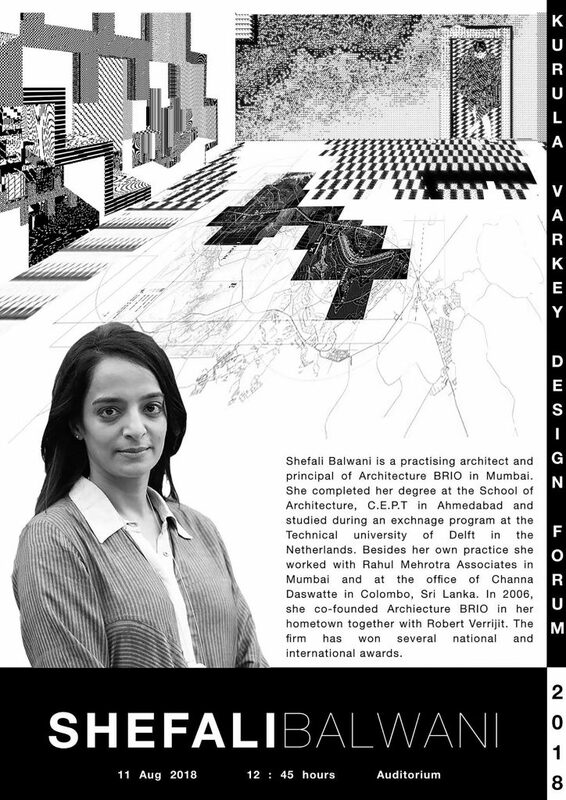 Shefali Balwani lectured at the 2018 Kurula Varkey Design Forum, an annual event hosted by the Students of Architecture, since 2001 at CEPT University. This year the focus of the forum is to generate discourses on how ideas are manifested through built forms. 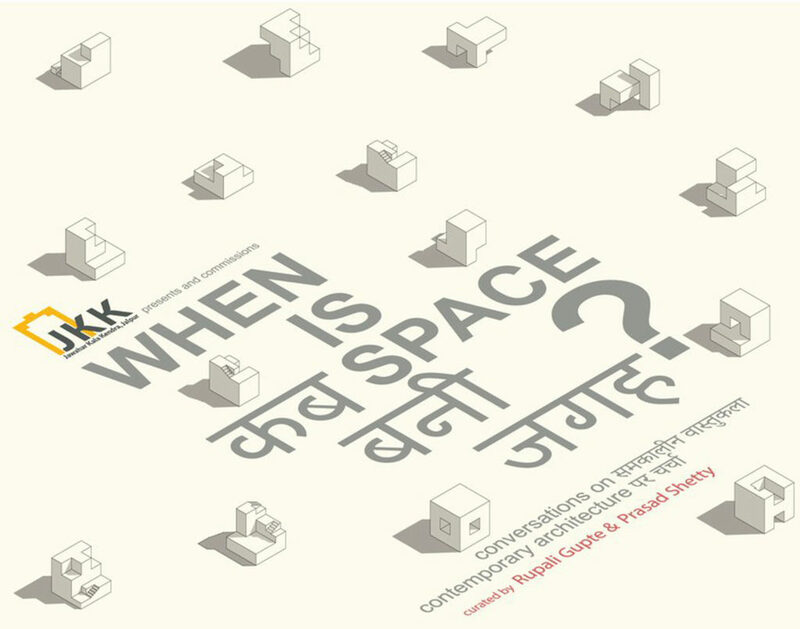 ‘When is Space?’ discusses contemporary architecture and space-making practices in India. The historic city of Jaipur established by the astronomer-king Sawai Jai Singh and the Jawahar Kala Kendra, one of the most significant buildings of Charles Correa, provide an apt context for this exhibition. A large part of contemporary space-making practices appears to be structured around three imperatives: first, computational and mathematical logics aided through a variety of devices including digital media; second, environmental and cultural responsiveness that manifests as new building typologies; and third, concerns regarding city and public that produce urbanistic practices of research and advocacy. These imperatives were also central to the pursuits of Jai Singh and Charles Correa. Architecture BRIO was honoured to receive the 26th Architect of the Year Award from Dr K Radhakrishnan, Ex Chairman ISRO. 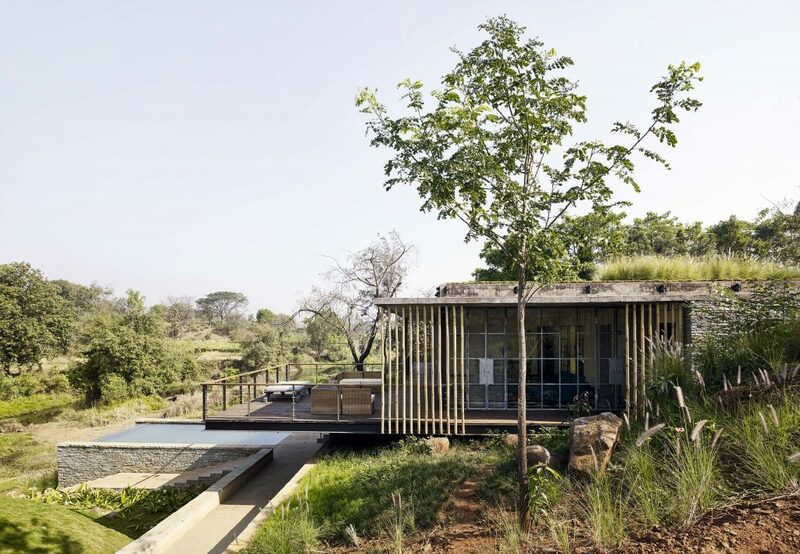 The “Riparian House” won in the residential category. 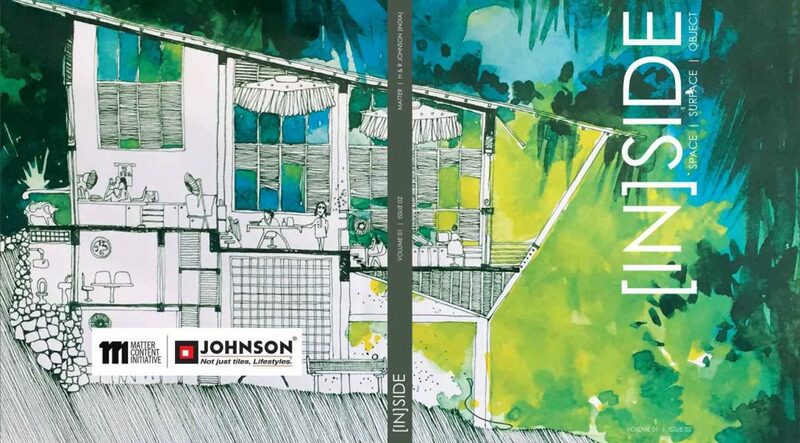 The JK Architect of the Year Award is India’s longest running architecture award. 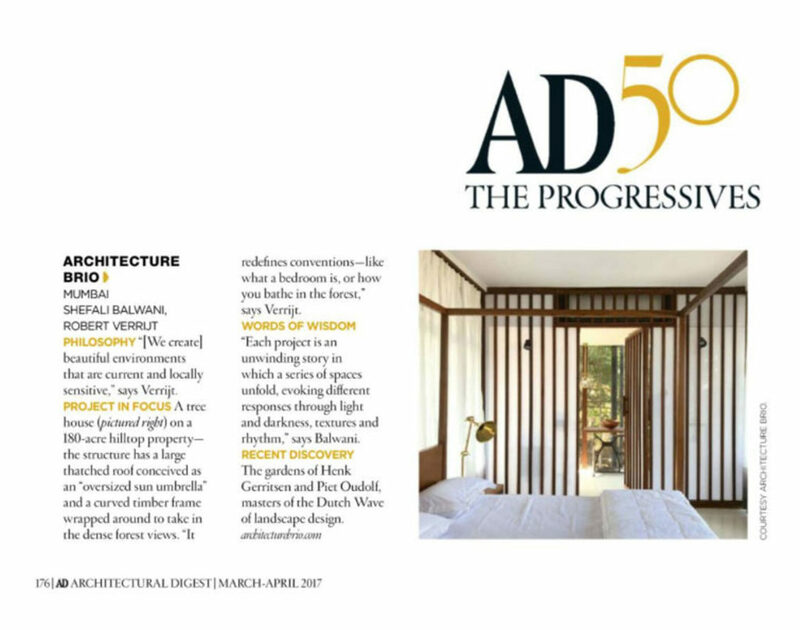 Architecture BRIO features for the third year in a row in the AD50. 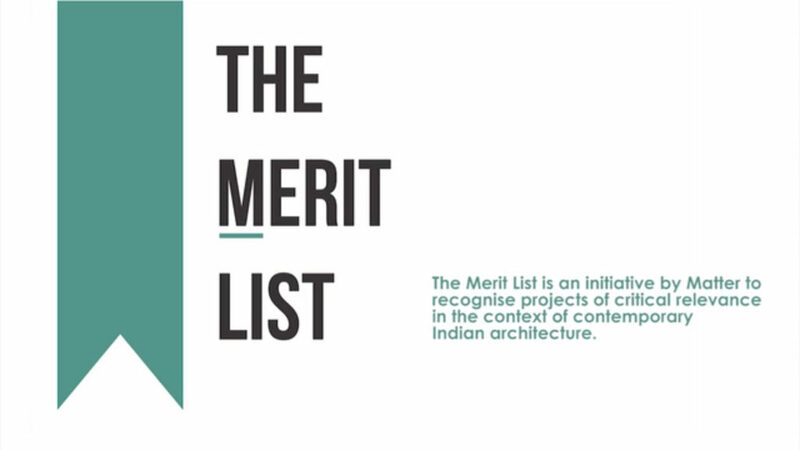 A list curated to highlight the best design professionals from India, Pakistan, Bangladesh and Sri Lanka. As proponents of experimentation, Architecture BRIO was listed amongst ‘the progressives’ whose projects represent a radical way of practice in architecture.